There is no question the Public Services Network (PSN) has been gaining momentum over the past 12 months. 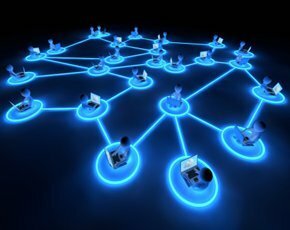 The “network of networks” to enable local services to save cash by using shared infrastructure and having better access to applications has been embraced by a number of councils. Staffordshire, Cambridge and Lincolnshire local authorities have all reported savings in the millions – thanks to their proactive stance in rolling out PSN infrastructure – and have been praised by central government. But all is not rosy behind closed doors. Yesterday Computer Weekly joined a roundtable discussion with representatives from all sides of the PSN process, from the County Council CIO to the technology vendor. And, although the conversation began in a positive manner, it soon became clear not everyone was doing their bit. A large number of councils still aren’t onboard with the idea. A study from Kable claims two-thirds are still not even embarking on the projects yet so, regardless of the enthusiasm in the room for the overall project, there is a desperate need for encouragement. “What are you doing about PSN? If the answer to that question is ‘I don’t really know what it is,’ wake up,” said Patrick Clark, the head of PSN transition at the Cabinet Office. Sara Moseley, who works for KCom alongside Dorset County Council, warned it wasn’t just organisations with their heads in the sand. Clark agreed but still was unhappy with the hold-up. “The natural way of things is that if I have a legacy contract in place until 2016, I am just not going to be interested about what to do with PSN, unless I am an advocate of it,” he said. It is not just the local councils taking their time in implementing PSN though, as it became clear central government was dawdling with its own implementation. Clark admitted only 40% of its current telecoms contracts were compliant with PSN standards and, although there was a goal to raise this to 80% in the next two years, it is hard to cast aspersions at the local level when Whitehall departments aren’t playing their part. But Clark was still keen to point to the progress that had been made. Clark’s comments highlighted an ongoing problem, that there remain issues between local and central government as to the best way to implement PSN. Mike Kendall, managing director of the PSN project in the East Midlands, emPSN, warned the different approaches were complicating the process of moving to a PSN for those looking into it. He said the differing approaches and complexity could put people off adopting the PSN. “We had strong support from the Cabinet Office to create this regional network, but it was about getting those across the public sector – not just the local authority – to work together,” he said. “The key thing is what I would call tension between the national and local. How do you achieve a PSN at a low pain threshold? This also raised the issue of getting all local services onto the same PSN. Moseley warned that in Dorset there was a lot of discussion with the local police force, but fears remained that they would go and do their own network, rather than adopt the PSN. Clark said there had been some progress in reassuring the police that the PSNs will fulfill their needs and thought some progress would be seen in the next couple of months, but doubts remain. If the point of the PSN is for all the areas of local public services to work together under one umbrella with the support of central government, losing such large organisations to a separate network could damage the PSN's reputation. “I think the picture is not as bleak as we sometimes paint it,” said Vic Falcus, who leads the PSN roll-out at Staffordshire County Council. Falcus tried to assure the group of the collaboration between public sector organisations within a county boundary and between councils across the country. The PSN process is moving forward but – as with many public sector projects – at a very slow pace. One representative from local government told Computer Weekly they thought the PSN would prove only a stepping stone, before cloud is fully embraced by government. And if this happens, all organisations will need is a good internet connection to use online applications. But if the PSN does prove a stop-gap, more councils need to get on board faster; local and central representatives need to work harder to be cheerleaders and encourage new members; and, most importantly, the user needs to start seeing the benefits. Classic example of turning what is essentially a positive story into bad news. Ironic that the Cabinet Office is managing the PSN, yet is incapable of sending out e-mails using BCC (blind carbon copy), instead, they send e-mails with EVERYONE's e-mail address visible to everyone else. Warning them about this is pointless as they then did it again.